At Frontier Basement Systems, we can repair the damage to your walls and floor with warrantied products at the same time we waterproof your basement! There's no need to call a separate contractor! 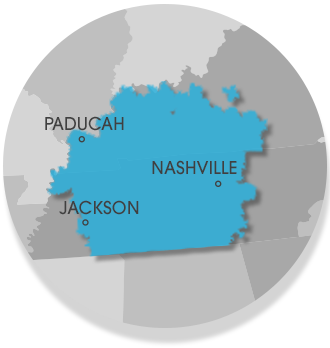 We service Nashville, Clarksville, Jackson, Murfreesboro, Owensboro, Philpot, Bowling Green, Fayetteville, Marion, Utica, Mcminnville, Franklin, Leitchfield, Shelbyville, Hartford, Antioch, Paducah and many nearby areas in Tennessee and Kentucky.